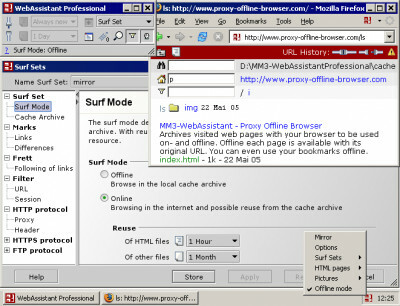 MM3-WebAssistant - Proxy Offline Browser - Pro 2007 is browser tools software developed by MM3Tools Muenzenberger GbR. Archives visited web pages with your browser to be used on- and offline. Offline each page is available with its original URL. There is no difference between surfing in the internet or archive. You can even use your bookmarks offline. Search, navigation and marking make an efficient use possible. This proxy offline browser allows mobile users to access internet information when they don't have internet access. An ideal addition to every browser! This program is shareware, which means you can download and use MM3-WebAssistant - Proxy Offline Browser - Pro 2007 for free during 30-days trial period. After this period you gonna have to buy MM3-WebAssistant - Proxy Offline Browser - Pro 2007 software for $29.90 or uninstall the program. 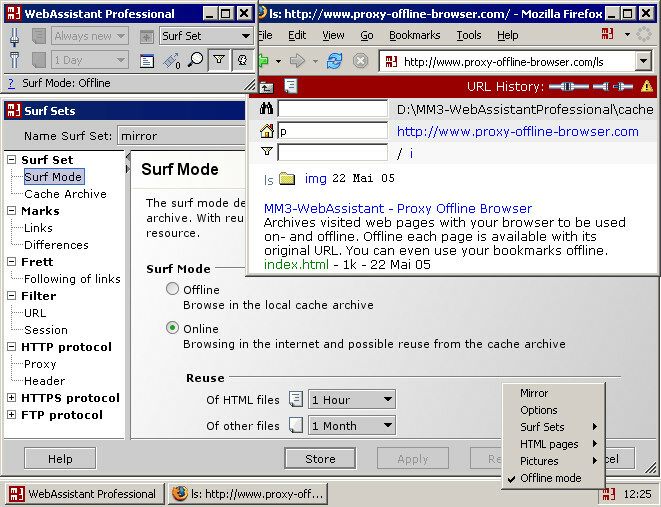 MM3-WebAssistant - Proxy Offline Browser - Pro 2007 supports English, German interface languages and works with Mac. Latest MM3-WebAssistant - Proxy Offline Browser - Pro 2007 does not contain any spyware and/or advertise modules, allowing installing it with no worries concerning valuable information loss. We has completely tested browser tools software MM3-WebAssistant - Proxy Offline Browser - Pro 2007 many times, written and published the interesting article and uploaded installation file (1601K) to our fast server. Downloading MM3-WebAssistant - Proxy Offline Browser - Pro 2007 will take minute if you use fast ADSL connection.